Each year Ski Utah compiles a list of the best ski swaps in Utah. Ski swaps are a great way to get the whole family geared up for winter at an affordable price. Most ski swaps consist of a variety of gear, from brand new to used skis and snowboards to skis; from poles to boots to bindings & clothes. *Proceeds benefit the Snowbird Sports Education Foundation. Gear older than 10 years is NOT accepted. FREE admission. Gear accepted beginning October 1. *A percentage of proceeds will benefit the Ogden Valley Ski Team. Please no gear more than 5 years old unless it is an antique/collectible. *30% sales commission benefits the Park City Ski Team. Please, no ski equipment over 5 years old and no used hats, gloves, goggles, sunglasses or other accessory items. *25% sales commission benefits the Westminster Ski Team. Please, no ski equipment over 5 years old and no used hats, gloves, goggles, sunglasses or other accessory items. -Equipment drop off, 8:15 –9:00 am, the morning of the sale. -Equipment Pick-up beginning at noon, the day of the sale. -10% of sales will benefit TUNA Junior Ski Programs. -Coffee bar and baked breakfast goods for purchase. Equipment check-in begins at 4pm on Thursday, November 8. New and used alpine, nordic and snowboard gear. 20% commission goes to Beaver Mountain Ski Patrol. A portion of proceeds will go to the Utah Food Bank. *No entry fee. Re-stocked daily. Gear older than 10 years is NOT accepted. ACE receives 25% of sale. No fees to submit items to sale. Limit purchases to 10 per person or entity. Buyer is responsible for sales tax. All sales final. Have we missed an important ski swap? 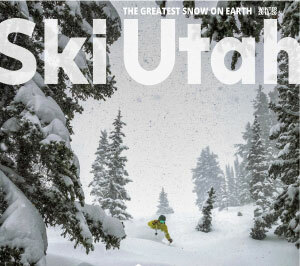 Please email Yeti@skiutah.com and let us know. We want to provide the most accurate information for our readers.